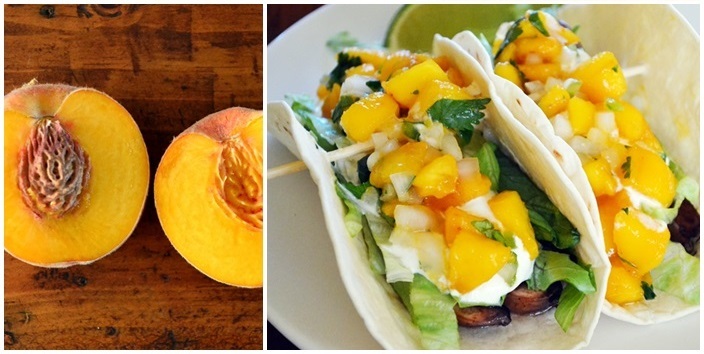 The peach salsa is like a normal pico de gallo but with peaches swapped in for the tomatoes. Naturally, it’s sweeter than normal salsa (pineapple or mango work well, too) but if you like mixing your sweet and salty, this could be just the thing. 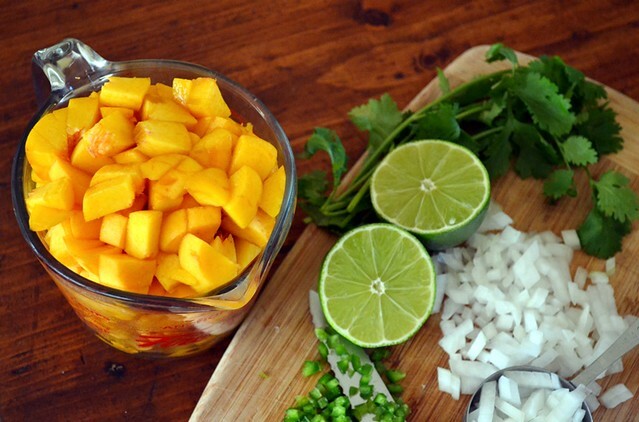 My salsa basics are simple — onion, jalapeno, lime juice, cilantro, salt, and for today…peaches! 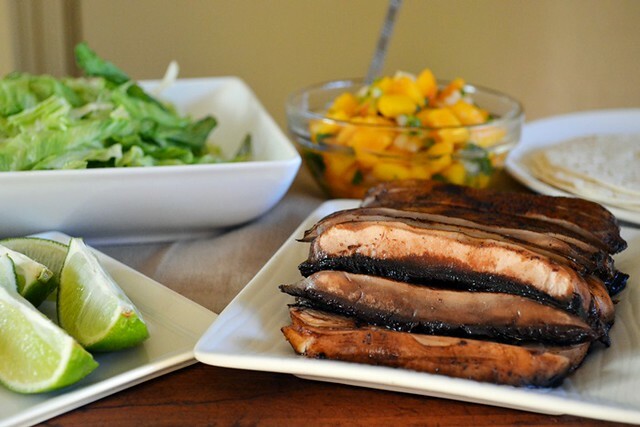 Flavorful marinated portabella mushrooms are a great meaty substitute for vegetarians or anyone looking for a meat alternative that still gives you something to sink your teeth into. Crisp shredded Romaine lettuce, a little sour cream, peach salsa, and an extra squirt of lime juice sealed the deal and supper was served. Get in the summer fruit flavors while you can — apple season is just a few weeks away! And if you don’t eat it all in one sitting, you can take the leftovers and make quesadillas. And on the sweet front, I also made a Peach Pie, and it was terrific. In a medium bowl, combine the peach salsa ingredients and gently toss to combine. Store in the fridge until ready to serve. Heat a skillet over medium-high heat and add a drizzle of olive oil. Brush the mushroom caps with marinade and saute 3-5 minutes on each side until cooked throughout. Once cooled, slice into strips. In a small skillet, warm each tortilla 15 seconds per side. 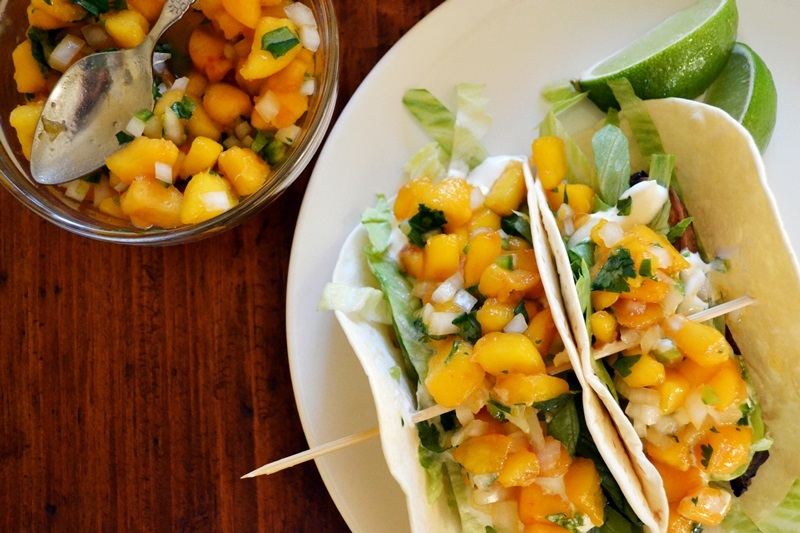 Fill with the sliced mushrooms, shredded lettuce, sour cream, and top with fresh peach salsa. 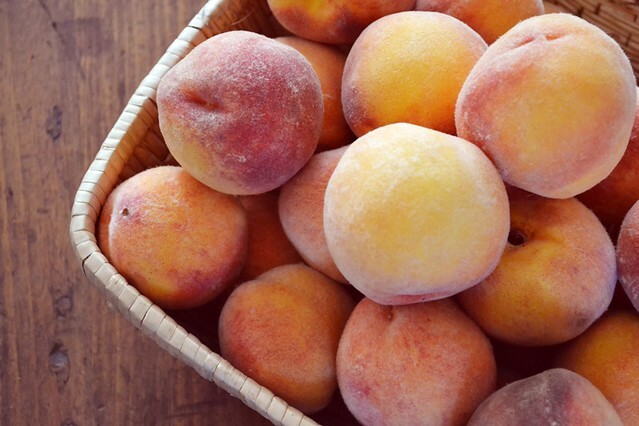 Make every effort to use firm, not-quite-ripe peaches — mine were very ripe and a little too soft for my liking in a salsa. Before serving the peach salsa, feel free to drain out some of the excess liquid in the bottom of the bowl. Guacamole or fresh avocado would also make a great addition to these tacos. This is my kind of dinner. Looks delicious, and the salsa looks so fresh! Thanks, Heather and MIchelle! They sure were great for a summer supper. I love when fruit dresses in savory clothes.